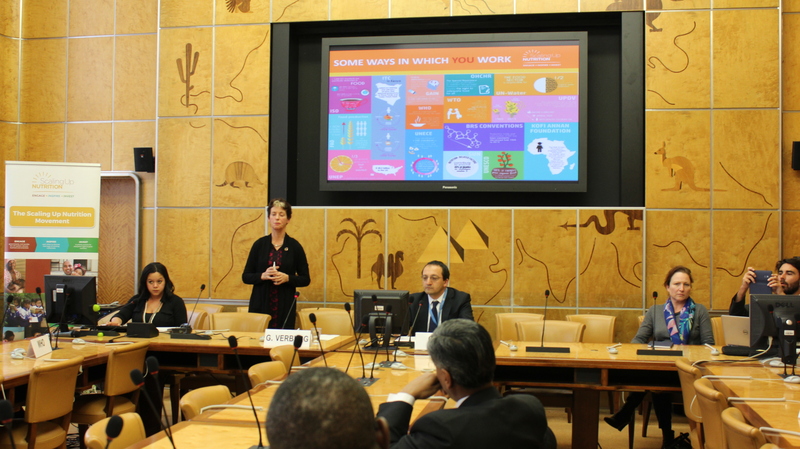 On 31 January 2017, Michael Møller, Director-General of the United Nations in Geneva invited Geneva-based agencies to attend an Executive Briefing about the Scaling Up Nutrition Movement. 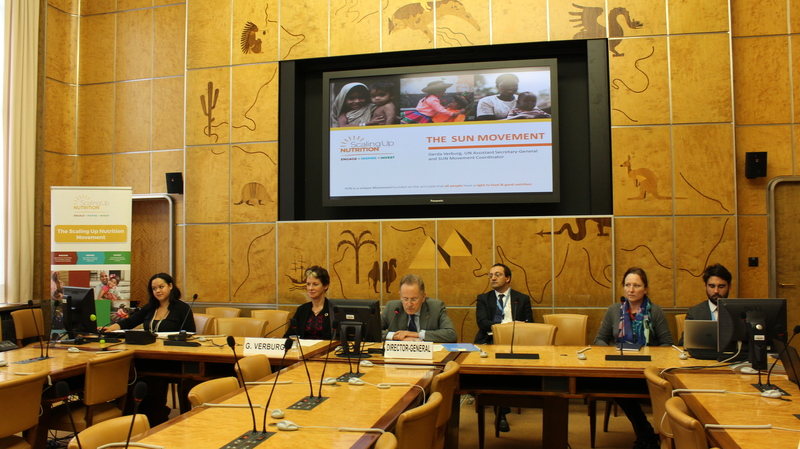 The meeting took place at the Palais des Nations to inform Geneva-based organisations, agencies and initiatives to team up to ensure that improving nutrition is put front and centre of political and development decision-making fora. Gerda Verburg, Assistant Secretary-General and SUN Movement Coordinator briefed participants on the importance of nutrition for the successful implementation of the 2030 Agenda for Sustainable Development and encouraged all partners to get on board.